You would be forgiven for looking at Yomawari: Midnight Shadows, and wondering if it's really a horror game. After all, the characters look like innocent little kids, and there are even dogs in it. How can that be scary? As it turns out, it can be absolutely terrifying. Fans of the original game in the series can attest to this. The new entry, Midnight Shadows, is a new story where you must navigate the dark and atmospheric streets of a town in search of your friend. Does this game manage to keep the tension and the scares cranked up throughout? "Focus only on this screen. From this point on, do not divert your eyes from this screen." Being the obedient gamer I was, I decided to keep my eyes glued. It didn't take long for Midnight Shadows to show me why that advice was important. The game's opening doesn't waste much time at all before everything starts going downhill. You play as Haru, a young girl who is separated from her friend Yui. The streets of the town and surrounding areas are plagued with spirits and demons alike, but she's determined to find her missing friend. The story in Yomawari: Midnight Shadows switches between Haru and Yui at sets points in your adventure. The brief moments when you play as Yui offer an update on her location and often provided a harrowing scenario for you to complete before control switches back to Haru. More story and lore comes in the form of collectibles you find that offer additional insight into the person who lost the items. Cutscenes are brief, so the majority of the game's story and experience comes from the moment-to-moment gameplay. One thing Yomawari: Midnight Shadows has in spades, is an atmosphere. We'll discuss this later in the review, but suffice to say, the horror is palpable throughout your entire journey. Furthermore, the story is not afraid to delve into dark themes and gruesome scenarios. Despite the cute characters, this game is not for the weak of heart. Nippon Ichi, developers of Yomawari: Midnight Shadows, have struck a perfect balance between survival and horror. 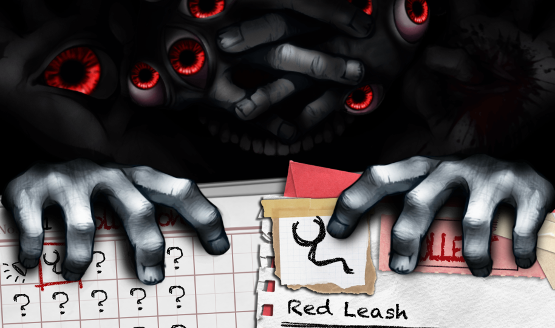 Since this is the type of horror game that doesn't offer you the ability to fight back, the balance between your ability to flee and the nature of your threats is crucial. In these types of games, my biggest pet peeve is when you're constantly assaulted to the point where it's exhausting. Games like Outlast are guilty of this, but Midnight Shadows deftly demonstrates a healthy amount of restraint. You'll explore the game's terrifying environments with nothing but a flashlight and some pebbles. There are items you can equip when you leave your house that can help you in specific ways, but otherwise, you're defenseless. The game does offer a couple mechanics that can help you out. The first is your heartbeat. Haru's heart will start beating faster, and the screen will start flashing when enemies are near. This gives you the chance to duck into hiding places, or try to run away from the threat. Your sprint meter depletes pretty quickly, so you'll need to use it sparingly. What I really liked about Yomawari: Midnight Shadows, was the different enemy types and their behaviors. In most survival horror games, enemies will just chase you relentlessly and exhibit barely any other behaviors. Yomawari: Midnight Shadows offers a wide variety of different creatures and spirits. Some of them will chase you slowly, others will dash, and some simply block your path. In any case, if you are captured or hit by one of them, it's game over. Your progress is saved at specific shrines throughout the map. You'll need coins to save, but they are actually far more plentiful than I expected. To some, this may be a disappointment as they would like the challenge of scarce saving opportunities, but I prefer the option to save often, so for me, it was a positive aspect of the game. Enemies are plentiful, but they're not always breathing down your neck. The game relies on a pitch-perfect sense of atmosphere and tension to carry you between encounters. Honestly, it's a near-perfect horror experience, but it does run into an issue. The objectives are pretty vague, resulting in numerous situations where I had to backtrack or wander aimlessly looking for my next objective. That can be frustrating when you want to progress, or find a save shrine, and you're constantly getting lost. The map does fill in for you as you explore, but again, you don't move very quickly unless your running. Even then, you can't run very far. This is the blessing and curse that comes with a wide open map, but more concrete objectives could have helped the situation. Beyond this qualm, I felt like Yomawari: Midnight Shadows had excellent survival horror gameplay and superb atmosphere. Yomawari: Midnight Shadows has absolutely excellent art throughout the experience. The environments and enemies are grotesque, detailed, and vibrant. Despite the lack of a traditional soundtrack, the use of sound is what creates such an amazing atmosphere in the game. You won't hear much music, but you will hear your footsteps, the beating of Haru's heart, the quiet hum of streetlight bulbs, or the chirping of insects in the trees. 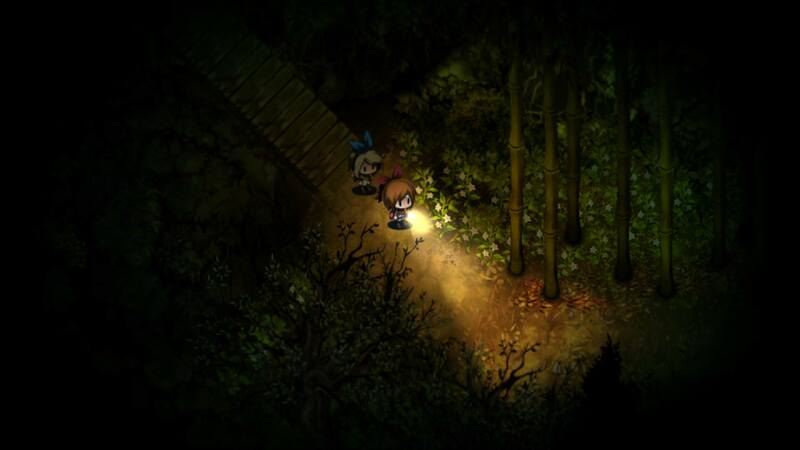 Between the excellent visuals and the detailed sound design, Yomawari: Midnight Shadows manages to create an atmosphere that kept me tense and engaged throughout the 6-8 hour adventure. It had a few missteps in the pacing, and I got lost more than I would have liked, but Yomawari: Midnight Shadows was easily one of the most atmospheric horror titles I've played on PS4. It may look cute and cuddly, but this horror game has some serious teeth.